Just a few stops into Virginia on the Blue (or Yellow) line can now bring anyone in the area to an 11-story building filled to the brim with hours of entertainment for no cost at all. Running from now until June 23rd, Artomatic bills itself as DC’s biggest creative event ever with 1,300 artists and performers participating. They’re able to attain such a huge number by not only filling the building with permanent exhibits and showrooms, but planning concerts, screenings, demonstrations, and workshops for every day they’re open. These events overlap but never repeat, giving people the chance to come back multiple times with fresh experiences or spend the entire day taking in new sights. 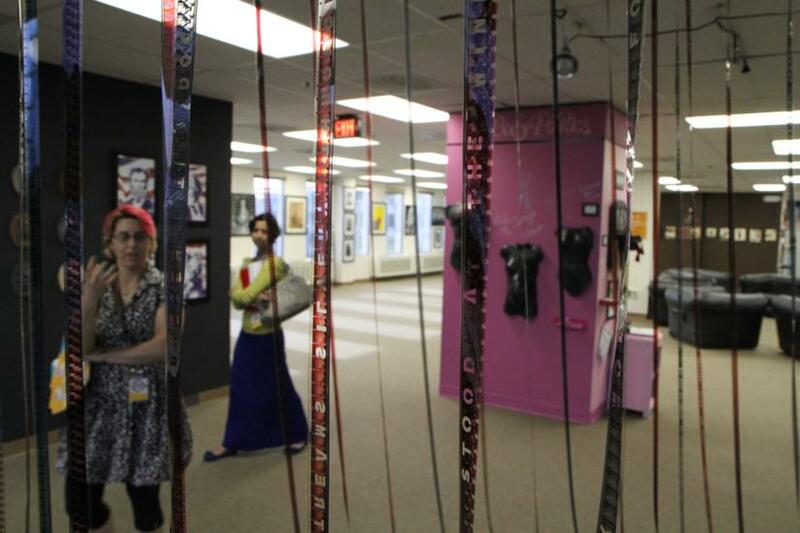 Artomatic accomplished this massive undertaking by opening their doors to everyone in the community. Anyone with a band, film, art, or skill to teach was encouraged to sign up for a spot on the schedule. Obviously this means not everything will be amazing, but that’s why there’s multiple events each day in addition to the permanent exhibitions. Also, there’s food, beer, and wine available for purchase, and a mobile site to check out what they have going on each day from your phone. With only a few more weeks left to make it down to the show, be sure to check out the schedule of events and plan your trip soon. Hours and directions are also available on the official site.